A plot of land in Palos Verdes is helping growing needed job skills for special-needs students and adults. PALOS VERDES, Calif. (KABC) -- For the past 16 years this garden in Palos Verdes has been producing fresh vegetables and herbs. But it's not just the plants thriving. This plot of land is growing much needed job skills for special needs students and adults. Located at Valmonte Elementary School in Palos Verdes, the Seed to Plate garden is giving lessons in communication, team building, and completing tasks on time. The special needs students come from Transitional Independence and ICAN employment services. The students come two times a week. The garden has been a huge hit. The upscale restaurant Chez Melange in Redondo Beach is a frequent customer, showcasing the garden's harvest in many of their dishes. 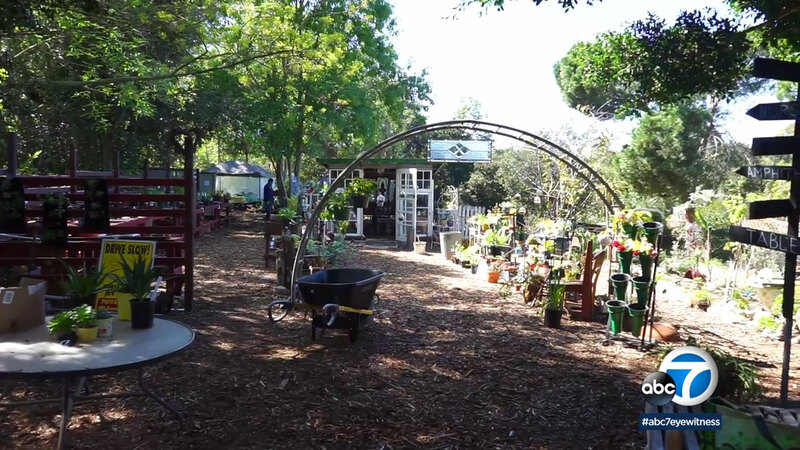 The skills learned at the garden help the students land employment at one of the Transition to Independence partners, like Armstrong Nurseries. The public is welcome to visit the garden every second Saturday of the month, from 10 a.m. to 2 p.m.